Street Furniture Australia are one of Australia’s premier urban furniture manufacturers. Having supplied furniture to over 25,000 locations around the country and worldwide, one of their core goals is to bring enjoyment and accessibility to public places, via well designed furniture. 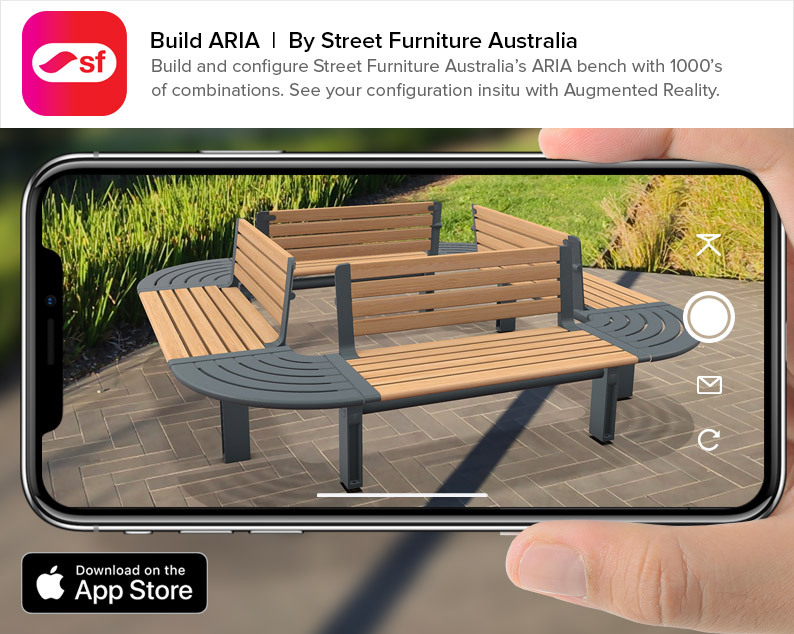 With the release of their exciting new ARIA range, Street Furniture Australia have partnered with INHAABIT to release Build ARIA, one of the first AR apps of its kind, that allow staff and clients to configure an ARIA bench, visualise it in Augmented Reality and generate customised quotations. 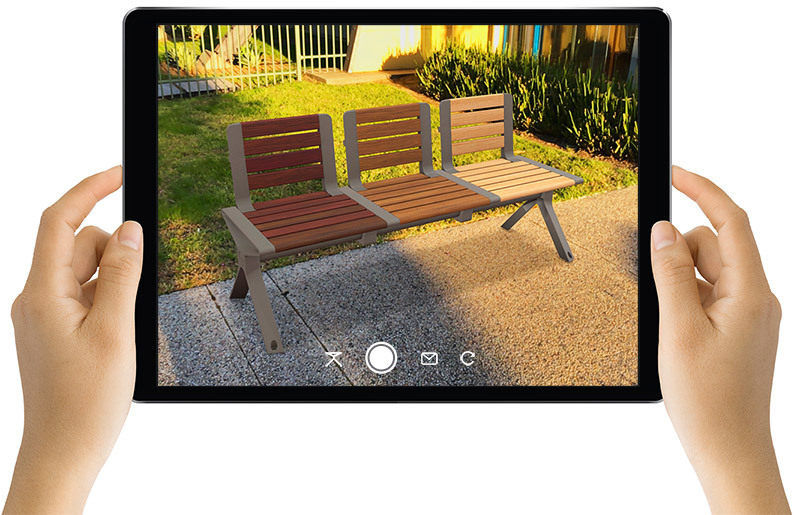 Available on iPhone and iPad, Build ARIA allows clients to intuitively use drag and drop to build their ARIA bench and realistically visualise it right in front of them using AR. With 1000’s of possible combinations, colors and materials, an Augmented Reality configurator was the perfect solution to demonstrate ARIA’s flexibility from both a sales and marketing perspective. Build ARIA was also created for Street Furniture Australia’s architects and designers, who will save time on renderings and drawings, since any configuration can be built directly in the app. Augmented Reality ensures that any configuration can be visualised in real time and in a real location and taking an insitu photo is as easy as tapping a button. When combined with INHAABIT’s ultra-realistic AR product modelling, accurate sizing, material and colors, the Build ARIA app creates some amazing sales and marketing opportunities for Street Furniture Australia, that were previously not possible. The Build ARIA app showcases how Augmented Reality can be combined with product configuration, part and pricing generation to be a comprehensive business tool.